Family treat, mini team building, corporate day or group taster day? 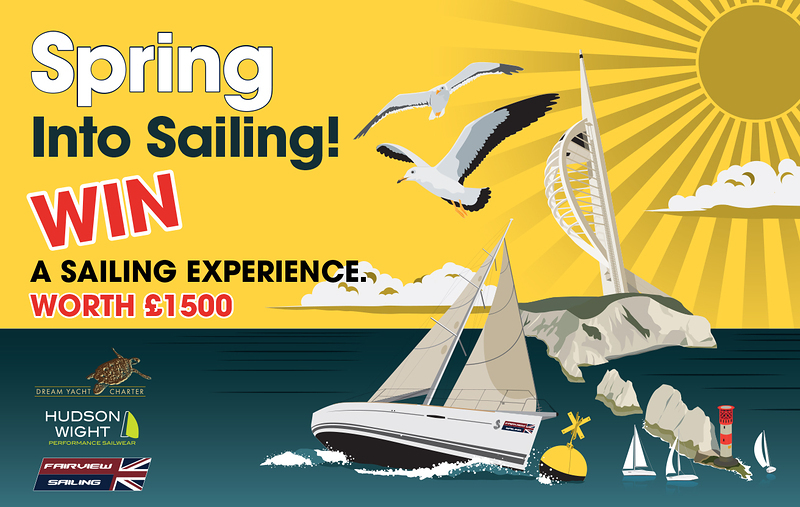 Enter the FREE Prize draw to win a day's sailing courtesy of Fairview Sailing, a member of Dream Yacht Charter, in association with Hudson Wight, official and exclusive clothing partner. Enjoy a Skippered Charter for up to 7 people (includes wet weather gear hire, tea, coffee and cake, packed lunch). Plus a £50pp voucher redeemable against Hudson Wight products.